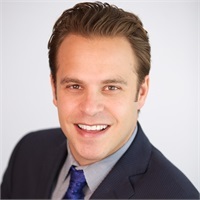 Brandon helps individuals, families, and business owners create custom financial plans consisting of investment and insurance strategies tailored to fit their specific needs and goals. He utilizes a holistic approach developed through his experience as a portfolio manager for a hedge fund, with a focus on how individual financial decisions affect the big picture. These custom plans often coincide with the current tax planning and estate planning already in place. Developing a working relationship with existing advisors in a client's financial picture is a big piece to developing an overall financial plan.